The mysterious monkey was spotted on Wednesday afternoon. A woman who fended off an attack by a celebrity simian known as the 'Mystery Monkey of Tampa Bay' was recovering from her injuries on Wednesday as authorities searched for the wild animal, Florida wildlife officials said. The woman, who said she didn’t want her name to be released, was reportedly sitting on her front porch on Monday when the monkey jumped on her back and began scratching and gnawing on her skin. She reached behind, grabbed the monkey’s leg and tossed him in to the bushes before he ran off, Gary Morse, a spokesman for the Florida Fish and Wildlife Conservation Commission told the Tampa Bay Times. "She could hear the clicking of teeth," the woman's daughter told the newspaper, who said she was inside cooking when she heard her mother scream. The woman suffered several puncture wounds and scratches and was taken to the hospital, where doctors gave her shots to prevent infections. 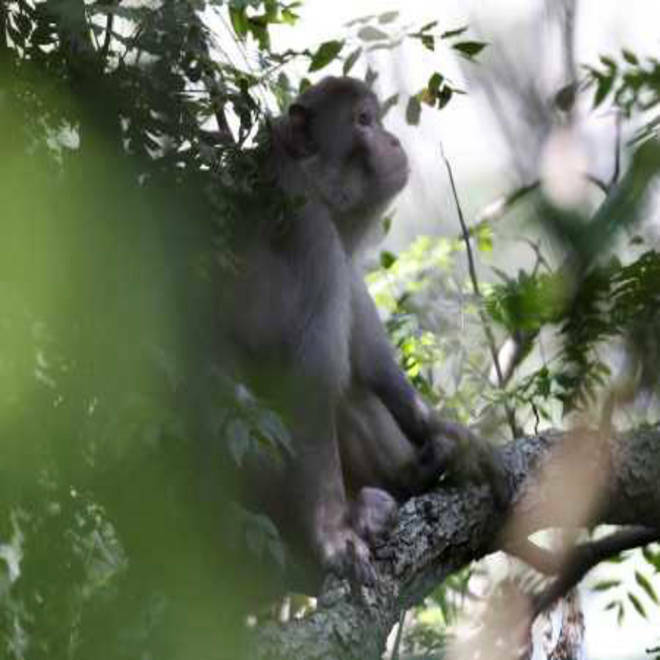 Florida wildlife officials are on the hunt for the Mystery Monkey of Tampa Bay, a wild rhesus macaque, which has garnered national attention. The monkey, which has gained notoriety in recent years after numerous sightings throughout the area, is a 40-pound wild rhesus macaque, which officials believe may have been cast out of a colony in Silver Springs near Ocala, Fla.
Officials in the area were attempting to track and trap the monkey Wednesday morning. Morse said they will try to trap the monkey alive, but given the attack it’s possible that trappers will have to kill it, he said. 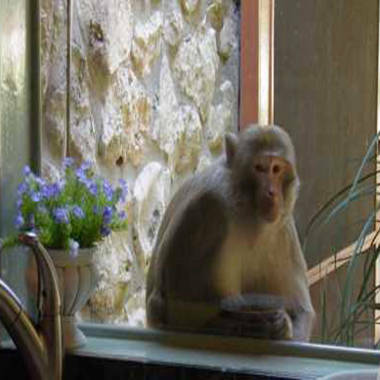 Residents say the monkey has never been aggressive until now, the Times reported. Officials said in the past year, the monkey has settled quietly into the area where residents have given him food despite warnings from authorities about coming into contact with the animal. The monkey has become something of a celebrity, the Tampa Bay Times reported. A Facebook page for the mystery monkey has been featured on Comedy Central’s "Colbert Report" and in a National Geographic special. Officials are asking anyone who sees the monkey to stay away and call police immediately.